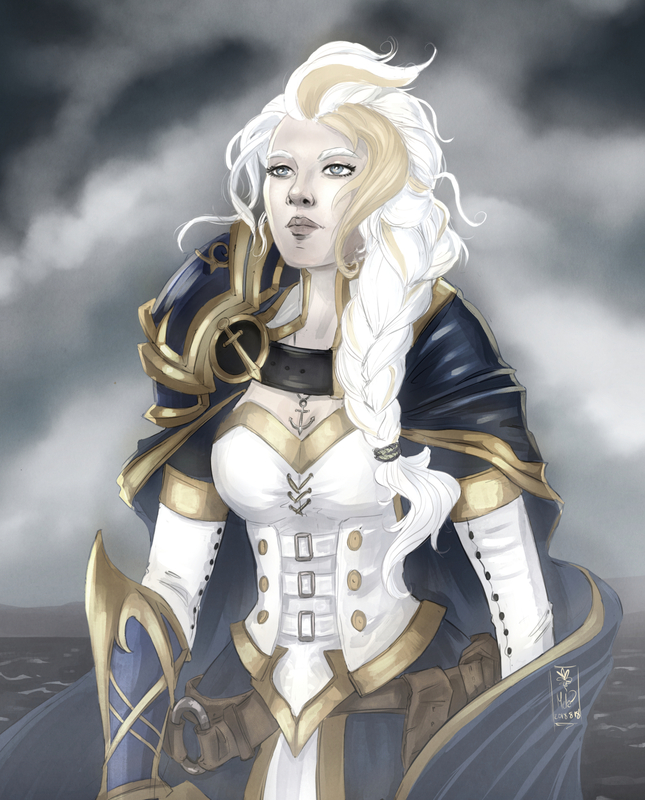 I saw the Warbringers: Jaina Proudmoore video on Youtube a little while ago, and this weekend was inspired to draw her again. This was meant to be a casual colour sketch, but I went a little bit overboard. I wouldn’t consider this a polished illustration, it’s still pretty rough all over, but I’m happy to share it as it is. I’ve been keeping up to date on World of Warcraft news, though I haven’t actually jumped into re-sub. I’m resigned to the fact that I am a WoW addict, and I can never go back to playing because I know myself too well; I’ll just end up getting sucked in, spend a lot of time raiding or grinding or hanging out at the auction house, or taking screenshots of the pretty environments. So instead, I draw fan art. So no, I see my life laid out quite clearly if I start playing WoW again, even “casually”, and it’s not looking good. But it hasn’t stopped me from checking out the cinematics on youtube, and catching up on lore. Damn, I would re-sub just to play the Kul’Tiras story line.